The Windows 10 operating system has been out for more than a couple years now. I still get questions on how to perform certain tasks and which settings to use within the operating system. Whether you’re new to Windows 10, having just upgraded from an older operating system, recently purchased a new computer with Windows 10 pre-installed or like many have become frustrated with the macOS operating system from Apple and have finally made the switch to Windows computer. 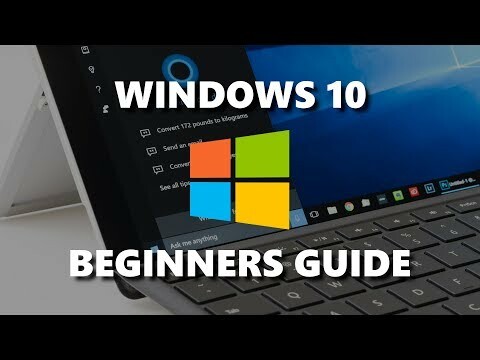 In this beginner’s guide, I will go over the basic settings and give you a tour of Windows 10 to get you started with using the operating system. TechGumbo is a leading source for the technology that we use each day. 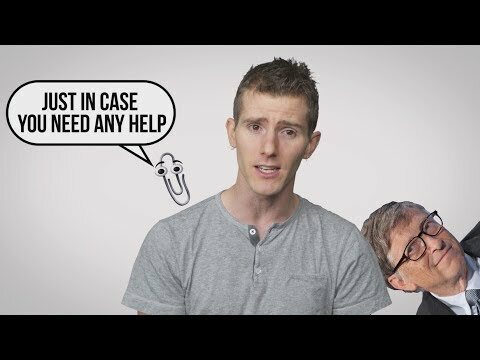 Whether it’s discussing computer operating system tricks, the latest tips for your mobile phone, finding out about the newest gadgets, or tutorials that teach you how to learn to use software, TechGumbo has boundless topics on technology for the astute YouTube viewer. 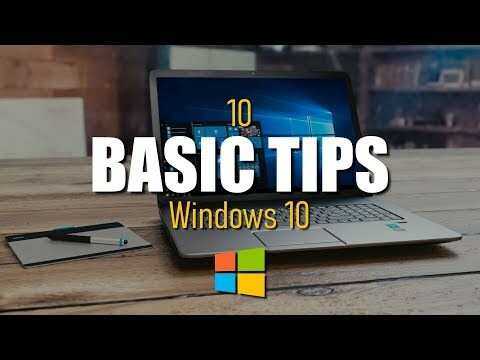 In this video, I will show you 10 cool tips and tricks for Windows 10 that you wish you knew earlier. Some of these are hidden features that you should know and were recently added after the Windows 10 creators update. 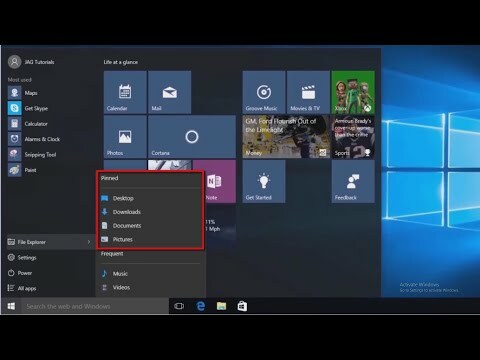 Many of these computer tricks and tips will help you to get the most out of Windows 10. 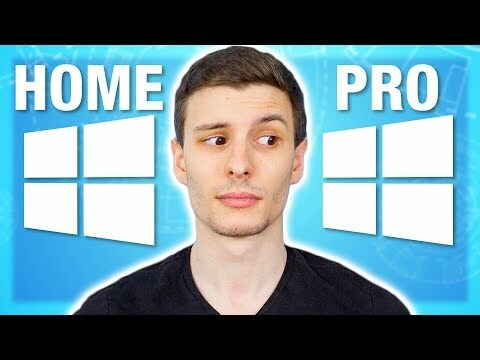 Windows 10 Home vs Pro: What's the Difference Anyway? Is Windows 10 Pro really worth the extra cost? Microsoft has always made several editions for Windows. These are typically Windows Home, Pro, Enterprise, and Education, with some previous versions having things like Windows 7 "Home Premium" and Windows "Ultimate Edition". But with Windows 10, are there really that many differences between the Home and Pro versions? This video goes into what those are, and who might be actually interested in the extra features, or whether you don't need them at all. 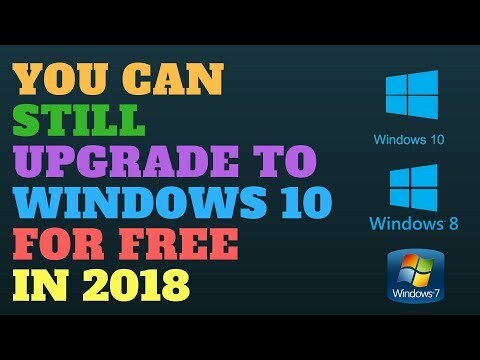 If you missed the update deadline to upgrade to Windows 10 for free from Windows 7, Windows 8 and Windows 8.1 then do not worry, you still have a chance to upgrade for free, just watch the whole video to see how to Upgrade to Windows 10. Don't want to lose your data? not a problem, using this method says all your programs and data, but its always best to make a backup of your data before you start. So if your looking to upgrade to Windows 10 for free this is your last chance. Remember if your upgrading a 32bit Windows operating system your only be able to upgrade to Windows 10 32bit OS. The Windows 10 "Spring Creators Update" or "April Update" via Build 1803 brings a LOT of new features to the operating system. 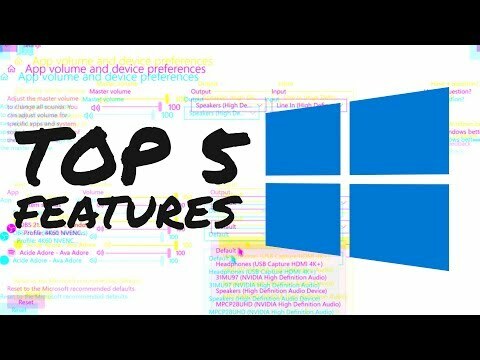 Here's my top 5 favorite new features from the April 2018 Windows 10 update, along with a bonus! What's your new Windows 10 feature from this spring update? Are you excited for the changes? What do you still wish to see added to the operating system? ► Data deletion tool - YAY privacy! ► GPU prioritization - huge for laptop users! ► BONUS #2 - HOMEGROUPS ARE GONE! Lots of supposed PC fans are moaning about Windows 10 on ARM. While a Snapdragon-based PC may not be for you (which is totally fine) real PC users should want Qualcomm, and Intel, and AMD do succeed as we all will benefit. What Data Does Windows 10 Send to Microsoft? Your Windows 10 installation is probably sending quite a bit of information to Microsoft. Just what sorts of things are being sent, and could they be used to identify you or your activities? 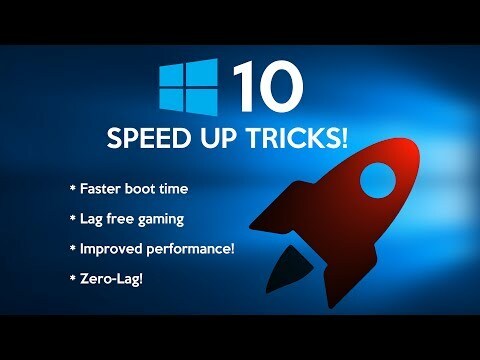 This video shows you, How to speed up any Windows 10 Computer for increased productivity and better gaming experience, this method is absolutely free as well as we don't use any software to achieve this performance increase! 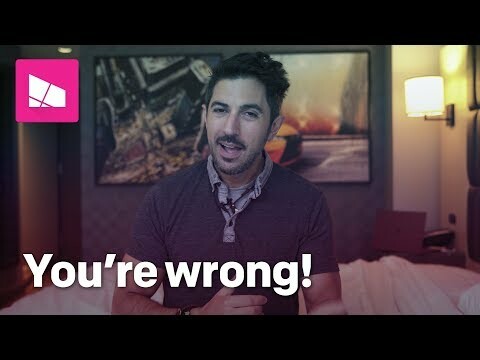 This video is only made for educational and entertainment purposes, so please don't use misuse. As well as only follow the instruction, visual or verbal on the video at your own risk, we will not be held responsible for any loss or damage. Due to the social nature of this broadcasting channel videos may contain content copyrighted by another entity or person. This channel's owner claims no copyright to said content. The broadcaster of this channel cannot be held accountable for the copyrighted content. The broadcaster of this channel is a messenger and sharer of information and strives to verify, but cannot warrant the accuracy of copyrights or completeness of the information on this channel. If you have a complaint about something or find your content is being used incorrectly, PLEASE CONTACT THE BROADCASTER PRIOR TO MAKING A COPYFIGHT CLAIM. Any infringement was not done on purpose and will be rectified to all parties’ satisfaction. Please watch: "How to Schedule Auto Shutdown in Windows 10 (really easy)"
Windows 10 build 17711 video review highlighting new Microsoft Edge features, Fluent Design improvements, new settings, and a lot more. 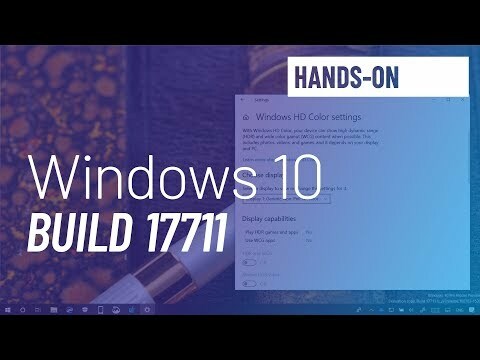 Tags: windows 10 1803, windows update, spring creators update, windows 10 update, april 2018 update, creators update, fluent design, windows 10 april 2018 update, windows 10 version 1803, windows 10 april 2018 update review, windows 10 april update new features, windows 10 tutorial, windows 10 2018, windows 10 features, spring creators update features, top windows 10 april update features, windows 10 april update release date, how to download windows 10 april update, #Plex@!